British parliamentary scandal shows that old-fashioned scoops can still sell papers. As The Daily Telegraph splashes tales of taxpayer-financed duck islands and moat-cleaning across its front pages, there is talk of a political revolution along the Thames. Some of the conventional wisdom of the news business has gone belly up, too. One of the most interesting aspects of the scandal is the revelation that old-fashioned scoops can still sell papers. Many publishers have assumed that in the Internet era, “exclusives” stay that way for about three seconds, so they are not worth pursuing. Instead, they have shifted the emphasis of their papers toward analysis or opinion. But The Telegraph’s exclusives, serialized like popular 19th century novels, have made a big difference at the newsstand. According to unaudited industry figures, The Daily Telegraph sold a cumulative total of about 900,000 additional copies in the first two weeks of its reports. On some days, its circulation jumped more than 10 percent from the official April level of about 818,000. Two dozen newspaper publishers, including representatives from the New York Times. Gannett, E. W. Scripps, Advance Publications, McClatchy, Hearst Newspapers, MediaNews Group, the Associated Press, Philadelphia Media Holdings, Lee Enterprises and Freedom Communications, quietly attended the Newspaper Association of America's annual meeting in Chicago this week to discuss ways of charging readers for online content. Called the "Models to Monetize Content" conference, the event was organized by the Newspaper Association of America, though it was not listed on its website. Why so hush-hush? It's because they're worried about possible antitrust violations. Observers point out out that an industry gathering to discuss setting up paywalls could have the appearance of an illegal cartel. Newspapers would like an antitrust exemption to build up paywalls across their sites and fashion some industry guidelines. News Corp. chairman Rupert Murdoch says that the future of newspapers is digital, but it may be 10 to 15 years before readers go fully electronic. Murdoch, in an interview with the News Corp.-owned Fox Business Network, also said that newspapers, faced with eroding print advertising revenue and circulation, are going to have to start charging readers on the Web. The News Corp. chief said newspapers in the future will continue to make money "from our readers, from our advertisers (but) the newspapers may look very different. "Instead of an analog paper printed on paper you may get it on a panel which would be mobile, which will receive the whole newspaper over the air, (and) be updated every hour or two," he said. Boultbee will be released from jail after a Chicago court agreed to his request to be freed pending the outcome of a U.S. Supreme Court appeal. Judge Amy St. Eve has granted a motion asking the former chief financial officer and chartered accountant be released on a US$500,000 bond until the Supreme Court makes a decision. The motion was supported by U.S. prosecutors. Black's lawyers have also applied for bail. Veteran CBC reporter Brian Stewart taking buyout; Sunday show victim of "news renewal"
Veteran CBC reporter Brian Stewart has announced he is taking the corporation's buyout package. Stewart, 67, says he will continue to pursue broadcasting interests. The Canadian Media Guild says more than 70 employees have taken retirement packages. CBC announced that it is canceling "CBC News: Sunday" with Evan Solomon and Carole MacNeil as part of an ongoing "news renewal" program. Time Warner Inc. will spin off the entire AOL Internet unit by the end of the year, reversing a failed $124 billion merger that triggered record losses. The arbiter of ethics on the airwaves says CTV was in the wrong when it broadcast a series of false starts from an interview with former Liberal leader Stephane Dion. CTV's Atlantic station ran an interview during last year's election that featured Dion asking the host to repeat a question three times during a taped interview. The Canadian Broadcast Standards Council says CTV was discourteous and inconsiderate to broadcast the false starts when they told Dion they wouldn't. The council also said the question posed to Dion was confusing, even to an English speaker. CTV Newsnet rebroadcast the false starts on the Mike Duffy Live show that day, where a panel criticized the Liberal leader. The council also found those rebroadcasts unfair and improper. News stories from The Canadian Press, CTVglobemedia, Torstar, Transcontinental, the Winnipeg Free Press and The Associated Press are now available for the iPhone and iPod touch. The new mobile "app" can now be downloaded in English or French from the Apple App Store for a one-year subscription cost of $2.99. "The app works without an Internet connection and can use the iPhone's GPS to deliver local news based on automatic detection of a user's current location," Eric Morrison, president of The Canadian Press, said in a statement. "The situation here is very dire and very serious. I've been a hostage for nine months. The conditions are very bad. I don't drink clean water. I am fed at most once a day," Amanda Lindhout reportedly told the Agence France-Presse news agency in a phone interview Sunday. "I have been sick for months. Unless my government, the people of Canada, all my family and friends can get $1 million, I will die here, OK. That is certain." Lindhout and Nigel Brennan - a photographer from Australia - were among several people abducted by roadside kidnappers outside the capital city of Mogadishu Aug. 23, 2008. The Globe and Mail has appointed John Stackhouse as its new editor-in-chief, effective today. Stackhouse, 46, was previously editor of Report on Business. A former foreign correspondent, foreign editor and national editor, Stackhouse has most recently championed the relaunch of the Globe Investor website. A Queen's University commerce graduate, he has won five National Newspaper Awards for feature writing, business reporting and international coverage. N.Y. Times on the latest re-design of "Newsweek"
Newsweek, the 76-year-old prism on the news of the week, was redesigned last week with significant fanfare. The makeover represents a rethinking of what it means to be a newsweekly, but no redesign can gild the cold fact that it remains a news magazine that comes out weekly at a time when current events are produced and digested on a cycle that is measured with an egg timer, not a calendar. Many news photographs are Photoshopped here and there to increase clarity or to optimize for print or online display. But there have been several instances with where retouching has been pushed too far, changing the original intent or accuracy of the photo. CBC's English-language service will issue up to 180 redundancy notices starting next week, executive vice-president Richard Stursberg has told employees. That is the maximum number of layoffs expected at the English language service of the public broadcaster, he said. The CBC projected about 393 jobs would have to be cut to make up a shortfall of $85 million in the English-language services when it announced in March that layoffs would be necessary. Global Brief: World Affairs in the 21st Century released its inaugural issue and launched its website, GlobalBrief.ca, earlier this month, at a time when many other Canadian publications are struggling with rising print costs and falling advertising revenues. The CIC said that climate forced it to pull the plug. “CIC has decided that given the current climate with regard to print publications everywhere, we will not be proceeding with another print issue at this time,” a spoeswoman for CIC said. The Globe and Mail claimed six of the 22 awards. The Toronto Star was next with four, followed by Montreal's La Presse and the Hamilton Spectator with two each. The Canadian Press, Toronto Sun, Calgary Herald, London Free Press, Montreal Gazette, Lethbridge Herald, Simcoe Reformer and Ottawa Citizen had one each. today's underhanded move by cable and satellite companies is an abuse of process designed to suppress freedom of speech and mislead the public," said Paul Sparkes, Executive Vice-President, Corporate Affairs, CTVglobemedia. "The fact that the first we're hearing about this is through a Rogers' press release and still have not received the complaint, speaks volumes to the motive behind these actions." -- Canada News Wire release from CTV. Rogers, along with Bell, Telus, Cogeco, Eastlink and the Canadian Cable Systems Alliance Inc., wrote to the CRTC accusing CTV of violating the Broadcasting Act with "one-sided and unbalanced coverage" of its advocacy campaign. On Saturday, the broadcaster is holding a "Save Local TV" campaign at stations across the country and plans live coverage on Newsnet as it meets with viewers to plead for government support. Rogers vice chairman Phil Lind said that incorporating the campaign into CTV's local newscasts is "a blatant violation of respected journalistic principles." Standard & Poor's has cut its rating on the New York Times Co. deeper into junk status, citing rising leverage in the midst of a newspaper industry slump. A drop in ad revenue aggravated by the long U.S. recession will likely lead to a spike in leverage at the Times by 2010, S&P said in a statement. The rating agency said it expects the economy to begin to recover late this year, but there is significant uncertainty about when the newspaper ad slump will begin to heal. The Score sports channel will be holding a series of auditions across the country this spring in its Search for Canada's Next Great Sportscaster contest. The first audition will be held May 25 in Halifax. Others will be held June 1 in Ottawa, June 3 in Winnipeg, June 8 in Vancouver, June 9 in Calgary and June 12-13 in Toronto. Applications and contest details can be found at www.DRAFTED.ca. Canwest Global Communications Corp. has lined up $175 million to reshuffle its senior credit arrangements, and says it aims to have a definitive agreement with noteholders by July 15. Canwest, struggling under $4 billion in debt, said some holders of its eight per cent senior subordinated notes - on which it has failed to pay US$30.4 million in interest due since March 15 - have agreed to pay $100 million for $105 million principal amount of senior notes paying 12 per cent. The Globe and Mail says the deal acknowledges the key role the company's bond holders will play in the company's future. A critical test of press freedom reaches the Supreme Court of Canada this week when it considers for the first time whether journalists have an explicit right to protect confidential sources from the police. The National Post newspaper, backed by civil libertarians and a coalition of media groups, will ask the court Friday to overturn an Ontario Court of Appeal ruling that the public interest in police investigations trumps the charter guarantee of free expression. The National Post wants the court to overturn an order to surrender to the RCMP the unmarked envelope and a loan document that McIntosh received while writing stories about possible conflict of interest involving federal grants and loans in the Quebec constituency of then-prime minister Jean Chretien. Police suspect that the document, which appears to be from the Business Development Bank of Canada, is a forgery and they want the package to track down the source, possibly through securing a saliva sample from the stamp. Conrad Black is expected to ask to be released from jail while the U.S. Supreme Court reviews his conviction for fraud and obstruction of justice. Legal experts say Lord Black is entitled to apply for bail now that the Supreme Court has agreed to review the case and it is understood that one of his co-defendants, John Boultbee, has already begun the process. It will likely take about a year for the Supreme Court to hear arguments and issue a ruling. The U.S. Supreme Court has agreed to review the case of former media tycoon Conrad Black. The appeal is Black's last chance after the 7th U.S. Circuit Court of Appeals in Chicago upheld his July 2007 conviction last year, refusing even to hear his arguments for appeal. The Montreal-born Black, who once ran the fourth-largest newspaper chain in the world is now serving a 6½-year prison sentence. The Sun's Christina Blizzard writes: "Where once her frankness was refreshing, her latest book, Losing Confidence: Power, Politics and the Crisis in Canadian Democracy, (McClelland &Stewart; $16.95) is really nothing more than a bitter rant at everyone. "If it's not a conspiracy by the Conservative government she's decrying, then it's a conspiracy by media monopoly that's to blame for her inability to gain a seat in the House of Commons. . .
"May seems to have a love-hate relationship with journalists. "On the one hand, we're all slaves to our corporate overlords. On the other, she credits the media with getting her a seat at the table for last year's federal televised leaders' debate. "(Tell me there isn't a reporter in the country who doesn't regret going to the wall for her. Having whined her way on to the debate, she attempted to hijack it and became, frankly, a nuisance.) "
The CRTC has decided to hold back on requiring English-language television broadcasters to spend as much on Canadian programming as they do on foreign shows. The requirement has been put off for at least a year. The regulator also agreed to hold hearings in the fall that would explore remuneration for signals currently carried by cable and satellite companies for free. Meanwhile, it will grant one-year licence renewals to four major broadcasters -- CTVglobemedia, Canwest Global Communications, the City-TV stations operated by Rogers Communications and Sun-TV, which is owned by Quebecor Inc. The Canadian Media Guild has told its CBC members that employees whose jobs have been identified to be cut in this spring's downsizing will get notices from CBC management during the week of May 25. The Guild has begun meeting with management in local and national joint committees to discuss the process, which can include redeployment of affected employees into vacant jobs and bumping. It can also include the withdrawal of a redundancy notice if resources become available to hold on to the job. "CBC and the Guild continue to explore ways of reducing the job cuts. We hope to have concrete information on this effort in the near future," the announcement said. "It is important to remember that the letters to be handed out the week of May 25 are 'redundancy notices' and not layoff notices. A redundancy notice signals the beginning of a process to find other work inside the CBC for people whose jobs are being cut. The Guild expects that layoffs will not happen until the end of July. Any employee affected by a layoff will get at least four weeks notice." Ray Carnovale, Vice-President and Chief Technology Officer (CTO), has informed CBC management of his intention to retire at the end of December 2009. "Since Ray joined the Corporation in 2001, in the newly created job of CTO, he has been a key member of the Senior Executive Team, and has been responsible for overseeing a variety of significant technology implementations such as VISION, HDTV and Avid, as well as and system upgrades such as Dalet, and innovations such as Olympic remote production," the CBC said in a note to staff. "In the past decade, changes in broadcast technology have outpaced any other time in history. Together with his colleagues, Ray has kept the Corporation pushing forward, allowing us to take full advantage of these important technological advances. "Ray has always displayed a high degree of technical competence, professionalism, rigour and fairness. His staff’s dedication is certainly a tribute to him. I look forward to properly recognizing and celebrating Ray’s career at CBC/Radio-Canada later this year. Between now and then, I have asked him to complete several important projects, including the Next Generation Converged Network RFP." Hubert Van Es, a Dutch photojournalist who covered the Vietnam War and took one of the best-known images of the American evacuation of Saigon in 1975 — of people scaling a ladder to a helicopter on a rooftop — died on Friday in Hong Kong. He was 67. HALIFAX, N.S. — William (Bill) Hutton, a former longtime broadcaster and past president of the National Press Club, died in hospital Wednesday after a short illness.He was 83.Born in Moncton, N.B., Hutton served in the army during the Second World War before beginning a career in radio news in Moncton and Saint John, N.B.He went on to become an editor with Broadcast News in Toronto and news director of CFRB in Toronto and CKWX in Vancouver.Hutton was also bureau chief of Selkirk News in Ottawa, chief executive officer of London Broadcasting and Independent Radio News in London, England, and general manager of CFNY in Brampton, Ont.He was a former member of the Parliamentary Press Gallery and past president of the National Press Club, the Moncton Press Club, and the B.C. Newsmans Club.Hutton was the founder and first president of the Radio and Television News Directors Association of Canada.He received the association's Presidents Award in 1983, the Distinguished Service Award in 1990.In 2008, the association introduced the Bill Hutton Award of Excellence.Hutton retired from broadcasting in 1989; he is survived by his wife Janet and four grown children.A funeral service has been scheduled for Saturday in Burnt Church, N.B. Oganization proposes to act as an agent for freelance writers. CP on refusal by CTV to pay CBC to send Olympic coverage north in French. Catching 680News Blackberry traffic report -- in car? Rogers Media today launched the first Canadian all news radio Blackberry(TM) application offering up-to-the-minute newsheadlines, five-day weather forecasts and live traffic updates for the GreaterToronto Area. On-demand business and traffic audio reports are also featured on the Blackberry Bold, and Blackberry Curve 8890. Drive safely. Budget concerns are reflcted in new approach for corporation's radio systems. Scary video hints that CTV will have no presence whatsoever -- "silenced forever" -- in Ottawa. Reminiscent of election ad. Google will lower camera on its roving camera cars by 16 inches in Japan, it says. Bruno Leclaire, the president and CEO of Canoe, the online news arm of Quebecor, will "step aside" as Canoe is merged with Sun Media. He may continue working for Quebecor a spokesperson said. No layoffs have been announced. NEW YORK--The New York Times announced today the launch of Times Wire, a new way for readers to view the news in a timeline format. Times Wire is a live, reverse chronological feed of New York Times articles and blog posts as they are published online. It updates every minute with real time headlines from across NYTimes.com.Readers can choose to view the full stream of content from across the site, a select view such as business and technology news or they can create a customized feed of news from their favorite sections and blogs. Times Wire also features a photo gallery, displaying the latest news in pictures. PBS makeover "not a succession plan"
PBS Newshour gets makeover with Jim Lehrer, 74, getting a co-host but this is not, says producer, a succession plan in disguise. Not clear what they're talking to papers about but it has to be about the news, the money and how to stay in business. Peter Murdoch. v-p of CEP, says CRTC has let broadcasters turn local stations into mere news bureas. Quebec has won $10,000 violation of privacy award from Sun Media. An Iran court has cut jailed US-Iranian reporter Roxana Saberi's sentence to two years suspended and she will be freed later on Monday, her lawyer says. A White House military aide who authorized an Air Force One flyover over New York that caused panic among some people in the city has resigned. Louis Caldera said in a resignation letter to President Barack Obama that the controversy over the mission -- a photo shoot of a jumbo jet used as Air Force One with the Statue of Liberty in the background -- made it impossible for him to lead the White House Military Office. The flight over lower Manhattan for a photo shoot scared some New Yorkers who remembered the September 11 attacks in 2001 involving hijacked airliners that destroyed the World Trade Center. Some people panicked and evacuated office buildings when the planes flew over. Will Amazon's new e-reader save the newspaper industry? Amazon's launch of its newest e-reader, the Kindle DX, comes with a deal that could motivate users to pay for newspaper subscriptions. The new device's features include a bigger-than-ever screen and a PDF reader. Amazon also announced a partnership with Washington Post Co. and New York Times Co. that would allow consumers living outside the newspapers' delivery areas to get discounted Kindles if they agreed to subscribe to the Times, the Post or the Boston Globe on their device. The partnership is a bid by the newspapers to get readers to begin paying for content again, after seeing many of their readers migrate online and cancel their subscriptions. The CRTC has asked the public to comment on a proposal to allow Al-Jazeera English to broadcast in Canada. The broadcast regulator is considering an application to allow the all-news channel to join the digital airwaves. Managing director Tony Burman has said he wants the channel, based in Doha, Qatar, to be available in Canada by fall. Part of the review process includes a call for comments from the public. Canadians have until June 8 to submit their opinions to the CRTC through its website, by mail or by fax. Veteran Globe and Mail business reporter Gordon Pitts has won this year's National Business Book Award for his work on Alberta. Pitts won for Stampede! The Rise of the West and Canada's New Power Elite, published by Key Porter Books. Other authors that were nominated included the late Ted Rogers for his autobiography, renowned novelist Margaret Atwood, Peter C. Newman, and Kenneth Whyte, the editor of Maclean's magazine. Rupert ­Murdoch expects to start charging for access to News Corporation's newspaper websites within a year as he strives to fix a ­"malfunctioning" business model. Encouraged by booming online subscription revenues at the Wall Street Journal, the billionaire media mogul says that papers were going through an "epochal" debate over whether to charge. "That it is possible to charge for content on the web is obvious from the Wall Street Journal's experience," he said in a conference call with reporters. Asked whether he envisaged fees at his British papers such as the Times, the Sunday Times, the Sun and the News of the World, he replied: "We're absolutely looking at that." Taking questions on a conference call with reporters and analysts, he said that moves could begin "within the next 12 months‚" adding: "The current days of the internet will soon be over." Jennifer McGuire has been named general manager and editor in chief of CBC News. McGuire takes over responsibility for CBC Newsworld and all local and network news and current affairs programming on CBC-TV, CBC Radio and CBCNews.ca. She began her CBC career at CBC Radio in Ottawa and went on to become the executive director of CBC Radio. McGuire has acted as interim head of the public broadcaster's English language news service since November 2008. She succeeds John Cruickshank, who left CBC in November to become publisher of the Toronto Star. Torstar Corp., which operates the Toronto Star newspaper, the Hamilton Spectator and other dailies in southern Ontario, reported Wednesday it lost $21.4 million or 27 cents a share for the three months ended March 31. That compared with a net loss of $3 million or four cents a share in the first quarter of 2008. In its financial report, Torstar said revenue fell by $12.3 million to $339 million in the latest quarter, from $351.3 million last year. Growth at the Harlequin book publishing division was more than offset by lower advertising revenue in newspaper and digital operations. The publisher also booked a $25.9 million restructuring charge in the quarter for staff cuts and streamlining efforts to boost the bottom line. The moves have cut 260 jobs but will save $16.2 million in labour costs this year. Daniel Leblanc, a Globe and Mail reporter who protected a confidential source that helped uncover the sponsorship scandal, has won the Press Freedom Award. The award is presented annually by the Canadian Committee for World Press Freedom to journalists who demonstrate extraordinary courage in pursuing the news through dangerous or difficult circumstances. CTVglobemedia Inc., Thomson Reuters Canada and The Gale Group have agreed to pay an $11-million settlement in a class-action lawsuit launched in 1996 by freelance writer Heather Robertson. The long-running case originated with Robertson, who disputed the inclusion of articles she submitted to the Globe and Mail's print edition into electronic databases without proper compensation. A founding member of the Professional Writers Association of Canada, Robertson submitted articles to the Globe for its print edition that were then included in three electronic databases: Info Globe Online, an electronic version of the Canadian Periodical Index as well as in a CD-ROM that contained a year's worth of several Canadian newspapers. She filed the class-action lawsuit over the unauthorized reproduction of her work as well as that of thousands of other freelance writers. In 2006, the Supreme Court of Canada ruled that newspapers and magazines do not have the right to transfer articles from their print editions into databases without the consent of the writers, saying that the result is "a different product that infringes" the creators' copyright. Robertson called the settlement "fair and reasonable." She said the case "has really made people aware of the importance of our intellectual property and of getting fair compensation for it." Ottawa Mayor Larry O'Brien pleaded not guilty to charges of influence peddling. The proceedings started with applications from media organizations to televise the trial live. Judge Douglas Cunningham, the associate chief justice of Ontario's Superior court, ruled that TV cameras feeding live to the Internet would not be permitted but that the public and media in attendance can live-blog the proceedings in real time. The judge had been cautioned by both Crown prosecutor Scott Hutchison and O'Brien's defence lawyer about sensitive, confidential or inadmissable evidence being blogged instantly onto the web before the judge could rule against such public disclosure. Hutchison said Harper's director of appointments, Dave Penner, would be called by the prosecution to explain the Conservative government's appointment process, and that cabinet confidences could "inadvertently" be exposed. "The problem with instantaneous world-wide distribution is that the genie cannot be put back in the bottle," said Hutchison. Cunningham turned down the CBC's bid to have cameras follow the trial in real time, but agreed to a bid by Canwest News Service to have a reporter file instantly to a social networking site from within the courtroom. The judge's ruling effectively opens the gates to all media at O'Brien's trial to file real-time text stories by wireless device. No pictures or sound may be broadcast from the courtroom. Ottawa Mayor Larry O'Brien pleaded not guilty to charges of influence peddling. But on the first day of his trial lawyers argued an application brought by the Canadian Broadcast Corporation to allow cameras in the courtroom, as in the British court shown at left, to stream audio and video of their proceedings to a website. O'Brien faces two criminal charges over allegations he offered to help former mayoral candidate Terry Kilrea get a job with the National Parole Board in exchange for dropping out of the 2006 mayoralty race that O'Brien eventually won. The CBC formally brought the application to let cameras into the court only last week, and both O'Brien's defence and the Crown say that was too late. CBC lawyer Daniel Henry told the court Monday that his clients are in "practical compliance" on rules requiring notice. "The best time to make an application of this nature is right before," he said. That way the judge is familiar with the issues at hand and lawyers have all interviewed their witnesses. Hearing the application as the trial begins saves everyone time and money, he said. But Crown prosecutor Scott Hutchison called the CBC application a "very hasty process," and said court rules clearly require 30 days notice. He also said the constitutional issues the application raises would require advance notice be served on the lawyers for the federal and provincial governments. The issue in question is no small one, Hutchison said. "It raises important issues for the administration of justice generally," he said. If the court agreed to let cameras in this case, it would effectively open every criminal court proceeding to cameras. "That, with respect, is not a minimal bit of tinkering. That is a sea change in the law." One of the CBC's most experienced political journalists, Don Newman, host of the daily Newsworld program Politics, has opted for the voluntary retirement incentive. Newman said Sunday that he will be doing Politics until the end of the season in June." He did disclose his future plans. 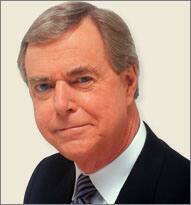 Newman, whose career spans 40 years, opened CTV's Washington bureau in 1972, covering the Watergate scandal. In 1976, he joined the CBC's team in the U.S. capital before becoming the CBC's senior western correspondent based in Edmonton. He joined the CBC's parliamentary bureau in 1981.